Confirmation of the neck strap is using the two rings on the camera. The strap length is adjustable. 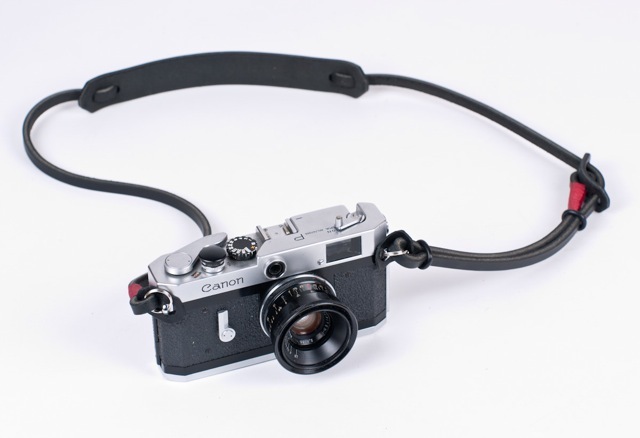 Neck strap is black leather with bumpers.